Not just pulling up weeds - transforming your garden into your own personal oasis! Creative maintenance is undertaken in regular weekly time slots, by the hour. I will work with your goals in mind to keep your garden looking its best, to turn your garden from mess to its best, and to help you get the best out of your garden. I'll advise on the best way to use all your garden waste, which will cut the cost of tipping and is a great way to recycle waste into compost and plant food. 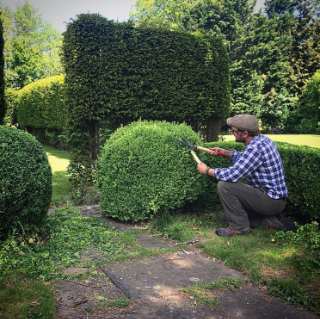 Most aspects of gardening are undertaken in regular garden maintenance, however larger work, such as tree surgery and hedge cutting, would have to be as quoted for. We do not currently cut lawns but can direct you to the best lawn service to contact.